Contrary to popular belief, white people do, in fact, receive welfare benefits. What may also come as a surprise is that some of them even cheat to get it, and sometimes when that happens, a local or state government may come up with a plan that will make it so the white people who commit welfare fraud don’t have to go to jail for their crimes. Such is the case in the state of New Jersey, where NBC New York reports that after more than two dozen arrests for Medicaid fraud happened in the Ocean County community of Lakewood, state officials created an amnesty program for people to confess their abuse of the program. The Ocean County Recipient Voluntary Disclosure Program will start Tuesday and run for three months, according to the Office of the Comptroller, Medicaid Fraud Division. Under the program, people would have to repay the benefits they received that they were not eligible for, plus a civil penalty. In addition, they would have to agree not to accept Medicaid benefits for one year, NBC reports. Those who meet all the requirements for the amnesty program will not be referred for prosecution, and the Ocean County Prosecutor’s Office will not pursue charges against them. Currently, the program is open only to Ocean County residents who have received Medicaid benefits but are not already facing charges and have not already settled with the comptroller’s office. State and federal authorities charged 26 people in the town of Lakewood with a list of fraud counts in late June and early July. 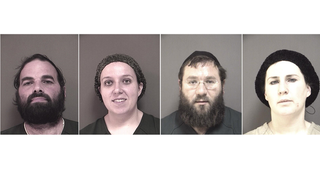 Among those charged were a prominent local rabbi and a special needs teacher. The charges stem from allegations that they failed to report or otherwise concealed income that would have made them ineligible for benefits. Those families are said to have collected more than $2.4 million in benefits. According to NBC, the town of Lakewood’s population has tripled since 1980. The community is mostly Orthodox Jewish, and the town is one of New Jersey’s largest. Religious leaders in the town support the program because it will let participants avoid prosecution. So. Will this happen in a predominantly black town in New Jersey as well, or nah? Asking for black people everywhere.